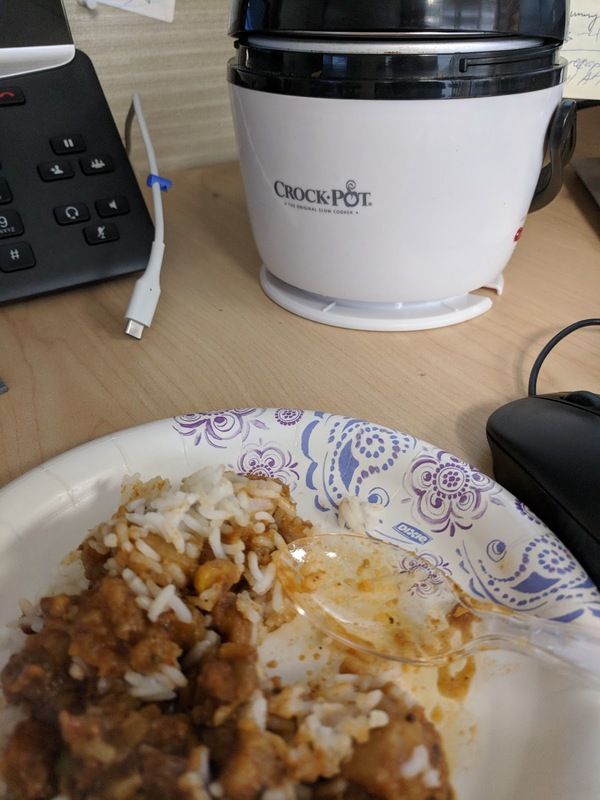 I brought in to work the mini crock-pot I bought Chris a few years ago. I used it to heat up some packaged Indian food and it worked wonderfully. It will be good for warming up tasty leftovers this winter.